Item # 307717 Stash Points: 1,199 (?) This is the number of points you get in The Zumiez Stash for purchasing this item. Stash points are redeemable for exclusive rewards only available to Zumiez Stash members. To redeem your points check out the rewards catalog on thestash.zumiez.com. 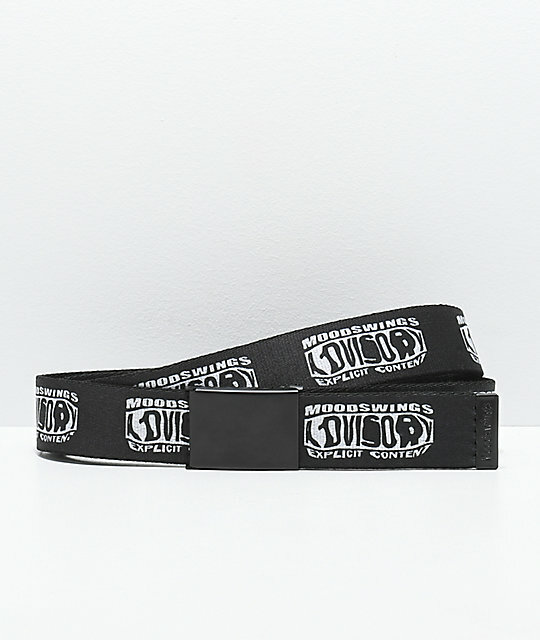 Keep your look PG with the Parental Advisory Web Belt from Moodswings. 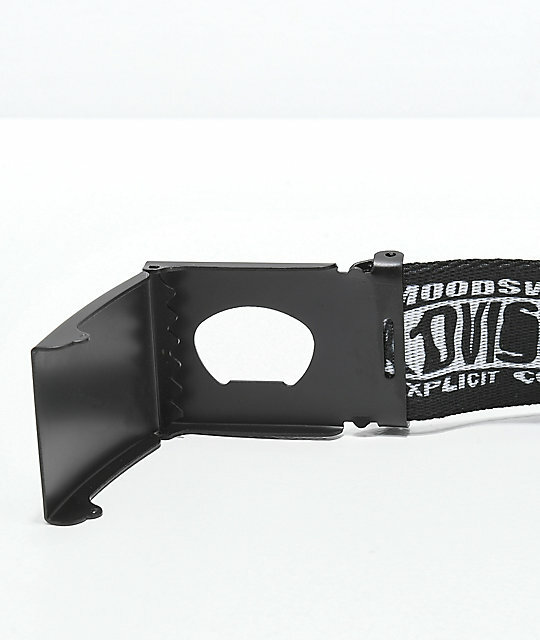 This webbed belt comes in a black colorway with repeating graphics that read "Moodswings Advisory Explicit Content" throughout. A black metal buckle is added for a custom fit and unique look. Parental Advisory Web Belt from Moodswings. Black nylon webbed belt with repeating Moodswings "Advisory Explicit Content" graphics throughout.